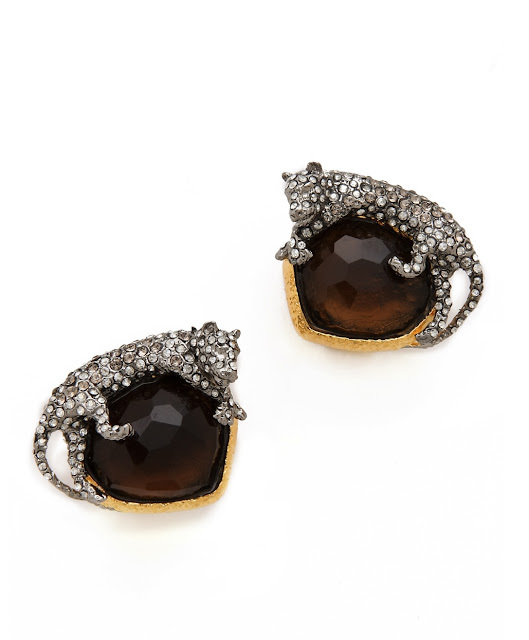 Alexis Bittar Siyabona Panther earrings. Mrowr. Love these. 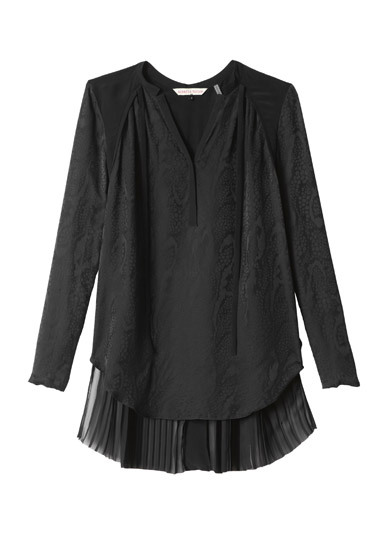 Rebecca Taylor Crocodile Blouse. What can't you wear this with? Tibi Paloma Skirt. Fly away little birdie! I love this print from Tibi, the skirt has a peplum with POCKETS!!! Camilla and Marc Castle Jumpsuit. I. Just. Love. This is one of my favorite shades of pink. Sweet and delicate. More pink to close it out. Marchesa Notte strapless silk in "blush". That little peep of sequin is the icing on top. Her blouses are THE best. Every season!